This dress by Brides Desire is one to make any bride feel very special! It has a satin underskirt, soft flowing tulle and is then finished with gorgeous vintage style lace. It is embellished with swarovski crystals which glitter as you move. It gives the wearer a gorgeous shape and can be modified to the size that you are on the day of your wedding with the corset back. This is a brand new dress with tags and has never been worn. The dress has not been altered in any way and has been kept in pristine condition in the original garment bag. 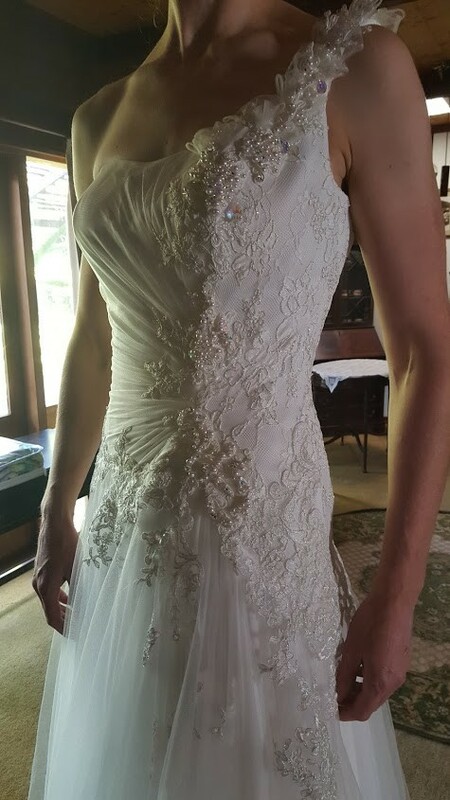 You are welcome to come and try the dress on, please let me know if you would like to know anything further.